 TOTAL PARTY is New Jersey’s one-stop party planning and decorating service. We coordinate and manage all aspects of your event so you can enjoy the party! Our mission is to make your special event magical. We can help you with as much or as little as you need, all while helping you stay within your budget. We specialize in a wide range of events – from Mitzvahs, Sweet Sixteens, First Birthdays to Weddings, Corporate Events to Fundraisers. Let us help you find the perfect location, entertainment, music and favors, or just have us supply invitations or decorations. 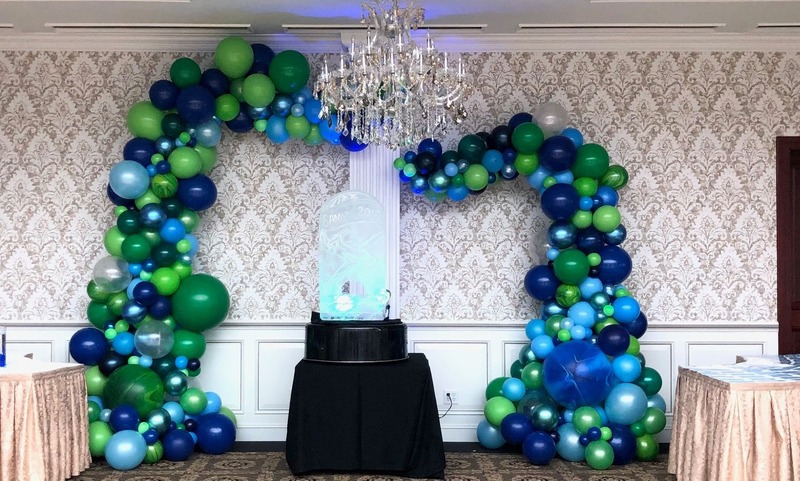 We’re known for our balloons – arches, walls, sculptures, and classic decor – but we do much, much more. Our services also include decorations, invitations, one-of-a-kind-centerpieces, seating cards, sign-in books, sign-in boards, candle lighting boards, bathroom baskets, out-of-town hostess bags and more! Total Party also rents table linens & chair covers to make your party unique. We will make sure your day runs smoothly by taking care of both event set up and tear down. And yes, we deliver on Sundays!  Let Total Party transform your venue to the event of your dreams! When decorating with balloons, hire an expert. 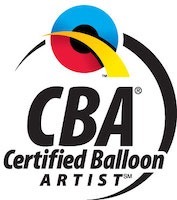 We have Certified Balloon Artists on staff who only use the best quality balloons. They are trained on how to handle and work with the balloons to make amazing designs that last. Use the form from the Contact Us page in the menu and set up a meeting with our Party Professionals. We will create a custom party plan just for you! Dori did an awesome job helping prepare for and decorate my daughter’s Bat Mitzvah. She was professional and creative and very responsive. She was also reasonably priced. Dori is amazing to work with, so talented! 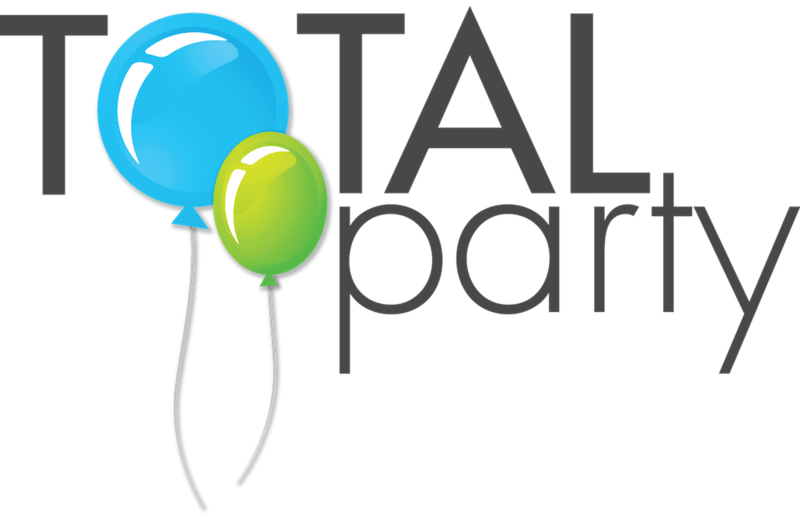 Total party has done two parties for us & I cannot say enough about how talented & easy to work with they are. Dori completely understood what I was looking for & managed to produce something even better than I could have ever imagined. She is so creative & knocks it out of the park every time! 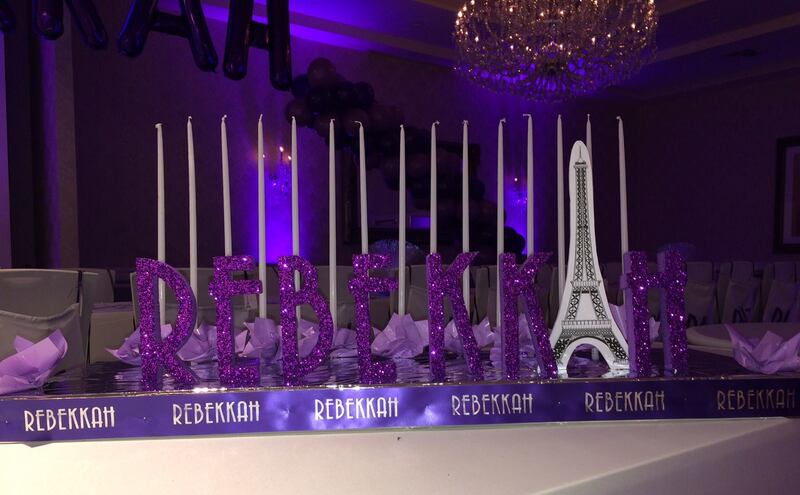 I used Total Party for last minute centerpieces for my daughters Bat Mitzvah and I was So happy I did. Dori and staff are wonderful. Her centerpieces were beautiful. She is very talented. I highly recommended her to all seeking a creative place with reasonable prices. I just wanted to thank you for all of your hard work for my daughter’s Bat Mitzvah celebration. The decorations were amazing and looked great! I especially love the shirts! And my daughter loved everything! Looking forward to planning with you again! Dori from Total Party did an amazing job for my son’s bar mitzvah at Cherry Valley Country Club. She was easy to talk to, and brainstormed ideas with me. Dori has a massive catalog of pictures from which to choose from but she will also help you identify what would suit your event space the best. Everything was arranged via e-mail and phone. I’m super pleased that I choose the hot air balloon centerpieces as they allowed for guests to clearly see each other and we received tons of compliments on the creativity of the installations. I would highly recommend Dori and Total Party! Always a pleasure working with Dori! Great service and the little details never forgotten! Dori, OMG! How amazing the room looked when we walked in yesterday! The centerpieces we’re even better in person than I imagined. I knew when we met you were the person I wanted to work with…and you surpassed my expectations. I loved the light up boxes and added centerpieces with the logo…really fantastic! Dori did a phenomenal job with the centerpieces for my son’s bar mitzvah!!! The room looked amazing! 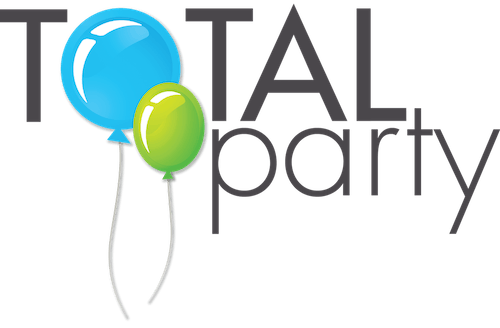 Total Party was a one stop-shop for me, from invitations to logo, to decor, to party planning assistance and tons of advice, my experience couldn’t have been better. Dori exceeded my expectations and the room looked awesome. She went above and beyond, making suggestions I could never have imagined and tying it all together. 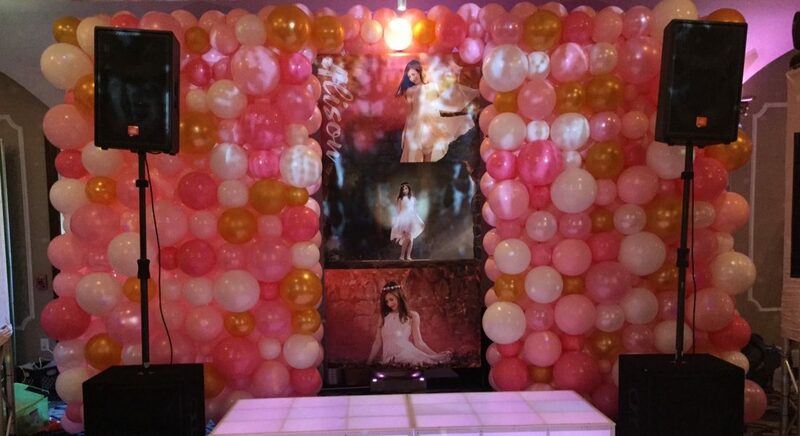 I choose Total Party for my daughters sweet 16 and was very happy with everything that Dori put together for us. The center pieces came out exactly the way we told her to make them. The balloon decoration was the high light of the area and the 16 piece candle vases were put so well together that they looked very elegant. Total Party made my daughter’s evening a memorable one and I would highly recommend it. Working with Dori was as easy as could be. Everything was perfect! Dori is a pleasure to work with. Great service, creative touches and attention to detail. Total Party really provided the atmosphere for my son’s big day and delivered above expectation. This was our second time working with Dori and I recommend her to anyone planning a party! I can tell that for the customer who knows EXACTLY what they want, Dori is the person to work with. But for THIS person, who was indecisive, wishy-washy, and last-minute, turns out that Dori is STILL the person to work with! Everything at my daughter’s bat mitzvah looked beautiful and elegant, and what I loved most was watching Dori tackle every logistical challenge I threw her way. She is the consummate professional and just a total joy to work with! It is difficult to put into words how wonderful Dori is. I went to her with an idea for a “book” themed bar mitzvah and had tons of ideas floating around in my head….she meticulously helped me execute each and every idea and was patient, kind and professional every step of the way. The day was everything I hoped it would be and more. She thought of things I could not have dreamed of. She was there for me every step of the way. She helped me with everything including timelines, invitations and etiquette. (which I definitely needed lots of help with). No question was silly or inconvenient. She is simply wonderful and I can only hope I have the opportunity to work with her again!!! I wish I could give her more than 5 stars…. Dori was so amazing to work with. The room looked amazing for my kids bnai mitzvah.